All professional communicators have faced difficult interview subjects who can’t or won’t give you what you need. Do you get tough with your questions like a reporter or a prosecutor? Do you smile and nod and hope that you can somehow make sense of this later? Do you walk away absolutely frustrated? 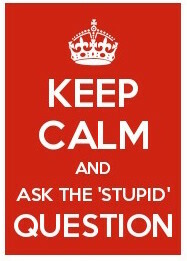 Consider, for example, a certain Subject Matter Expert. She’s a genius in her field and is somehow affiliated with your company. You and your team want to craft a multi-channel communications plan for her to use with audiences of, say, employees, media and investors. To do so, you need clarity and proper engagement from the expert, who doesn’t mean to be challenging, of course. She’s just not good at expressing her vision and she doesn’t understand why she frequently has to stop and explain things again. Successful communicators are often the best listeners. They’re skilled at getting great thinkers to share those great thoughts, even those subjects who don’t want to or don’t know how to. Click to Tweet: How to help when interview subjects have trouble communicating. Here’s how to help. Try these easy tips I’ve gathered from doing countless interviews, first as a news reporter with VIPs of all kinds, and later as a corporate communicator with business leaders, allies and staff members of every rank. If you can master this, you’ll be able to help all kinds of people share all kinds of information. So everybody wins, including you. 1. Do your homework. Read everything you can about the person you’re interviewing. Read anything with his byline – even if he didn’t write it, he approved it. Watch all his videos. Also, talk to his associates if you can. Their insight can be invaluable. 2. Organize priorities. Get clear with the subject — and also with your boss or your team — about the priorities for the interview, how much time you’ll have, and if this is a one-off or the first of a series. That way you’ll be sure to know what everyone needs the most and get it. 3. Show respect. Let the person indicate if he wants to chat for a few minutes or get right down to business. Don’t interrupt or contradict, but also don’t kiss up or try to impress. 4. Remind him why you’re talking to him. Chances are, someone has already told him, of course. But he’s busy and might’ve forgotten or confused you with someone else. Be succinct and clear about what you need. 5. Ask for clarity. 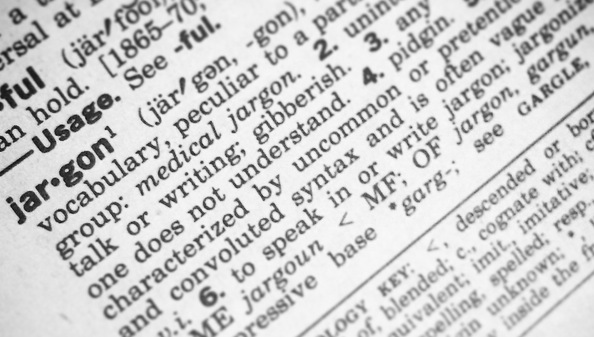 If the expert or leader seems to contradict himself or something in your notes, ask for a clarification. “I’m sorry … I thought the plan called for X, rather than Y … I must be confused. Can you help me understand?” Remember: If you don’t get it, no one will. Click to Tweet: Don’t be afraid to ask for clarity. If you don’t understand, no one will. 9. Wrap it up. Stick to the time allotted, unless the leader wants to extend. Thank him for his time and share your plans for review. Transcribe your notes and share with your supervisor and team. Plan a meeting to go over everything and suggest key nuggets for use – in, say, the annual report or next week’s newsletter. Fact-check anything you’re not sure about, or run it by legal before you distribute. Remember your internal approval process when crafting and executing the communications plan. Do you need to suggest a follow-up interview? Make it a monthly thing? Should you send a videographer to the person’s next speech, to record some of his new-and-improved presentation for still more content uses? In some cases, someone might decide to hire an outside expert to provide the person with intense media coaching. Or to assign much of the messaging to someone else. But with the information and buy-in you’ve retrieved, the comms team will have what it needs — for clarity, relevance and accuracy. This entry was posted in Business Comms and tagged business communications, corporate communications, interview tips, public relations on April 1, 2015 by Jay Croft. I went to Cleveland for a few days last September, and let me tell you, it was one of the best things I did all year. I decided to attend a conference, Content Marketing World, in a flash of inspiration. I had mulled going earlier, and when a new online friend and industry leader suggested I go, I snagged a cheap flight and a room at the venue hotel, and, before I could say “Get off of my blue suede shoes,” I was in the land of the Rock and Roll Hall of Fame. As a former journalist working in traditional corporate communications, I was jazzed to see so many examples of how to creatively, purposefully blend the two disciplines and others. With top authors, brands and social media represented, the conference has grown in attendance annually. Business communicators of all kinds have been turning more and more to storytelling techniques, brand journalism and content marketing, and conferences like this are a great chance to learn from the best and mingle with peers. I stole ideas and made connections in Cleveland — with good, smart people in a supportive environment. 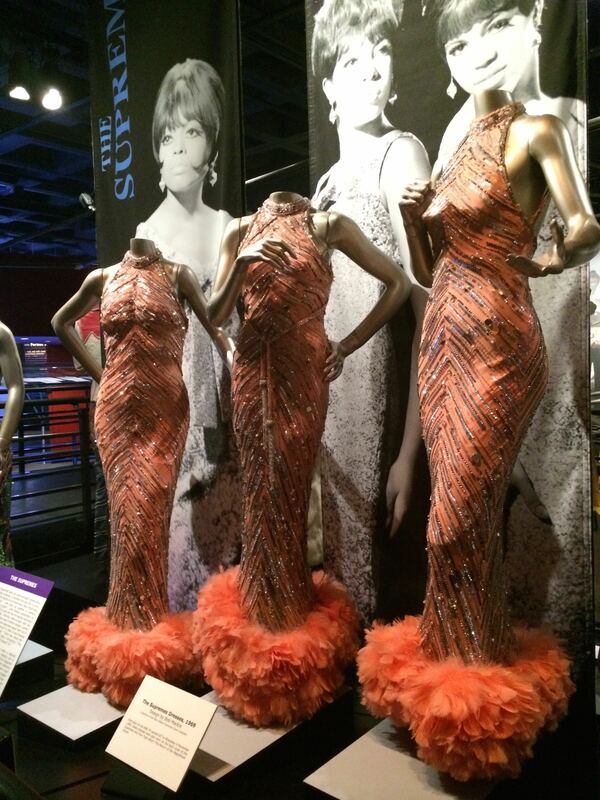 No trip to Cleveland is complete without a tour of the Rock and Roll Hall of Fame and seeing what the original Dreamgirls (Diana, Mary and Flo of the Supremes) wore back in the day. Creativity, Technology and the Future of Storytelling. “How do you tell amazing stories that are not just good, but inspire your audience, make life more interesting, and turn passive consumers into brand advocates?” May 14 in New York. This entry was posted in Business Comms, Social Media and tagged Ann Handley, business communications, content, content marketing, Content Marketing World, Joe Pulizzi, Robert Rose, storytelling on March 18, 2015 by Jay Croft. My burger of choice is at Yeah! Burger, and here Steven Norris and I disagree. He’s more a Bocado man. I love a good burger and I love storytelling. But it took a Georgia Tech social media pro to connect them for me today. Social media storytelling is a lot like a good burger, Steven Norris said at a panel discussion sponsored by the Georgia chapter of the Public Relations Society of America. 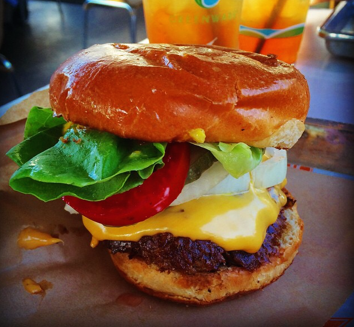 A burger should be handcrafted, authentic and multi-layered, just like many stories told via social media. Different channels are like various toppings and condiments — with content being the meat patty and analytics the bun. I like the idea, largely because it puts content as the centerpiece, regardless of, say, condiments or toppings. It will vary from project to project whether we employ chiefly Twitter, Facebook, any of the others or a combination of some of them. Maybe you lead with a nice slice of American cheese, squirt on a little ketchup and mustard and add some pickle slices today. Tomorrow, you keep it to a simple double-stack with mayo and lettuce. Wrap it all up in fresh-baked analytics, and you’re good to go. 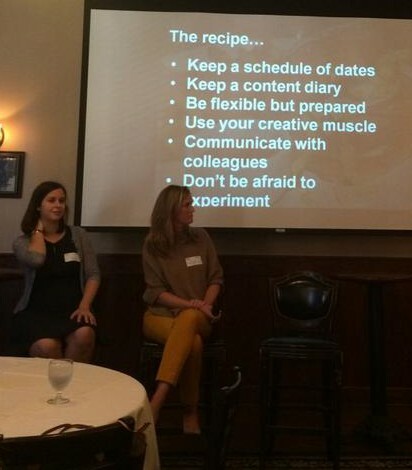 Maria Jewett and Meg Flynn, with Steven Norris’s slide on the social media storytelling/burger recipe. You get what he meant. Steven: Any good social media post drives readers back to your website. Maria: “I am the editor of my own personal story and so are all of you” — and it’s not much different working for brands or companies. Meg Flynn of Children’s Healthcare of Atlanta: It’s better to focus on original content (including images) than repurpose marketing material and stock photos. Please subscribe to this blog at the top of the right column, or by clicking “Follow” in the top left of the page. Thanks! This entry was posted in Atlanta, Business Comms, Social Media and tagged atlanta, buckhead, business communications, Facebook, Georgia, Georgia Tech, prsa, Social Media, Social media storytelling, storytelling, Twitter on October 22, 2014 by Jay Croft. 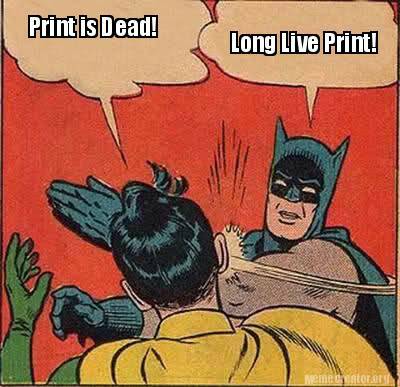 In the digital age, is print dead for business and corporate communications? Imagine if you produced a magazine, brochure or other print product as part of a recurring communications campaign. Since digital became ubiquitous, you’ve regularly had to assess whether to continue printing or abandon it and its negative associations (costs, tree-killing, old-fogeyness). Well, no, it’s not. And here are five reasons why. I’m sure you have more, so send them on in. 1. 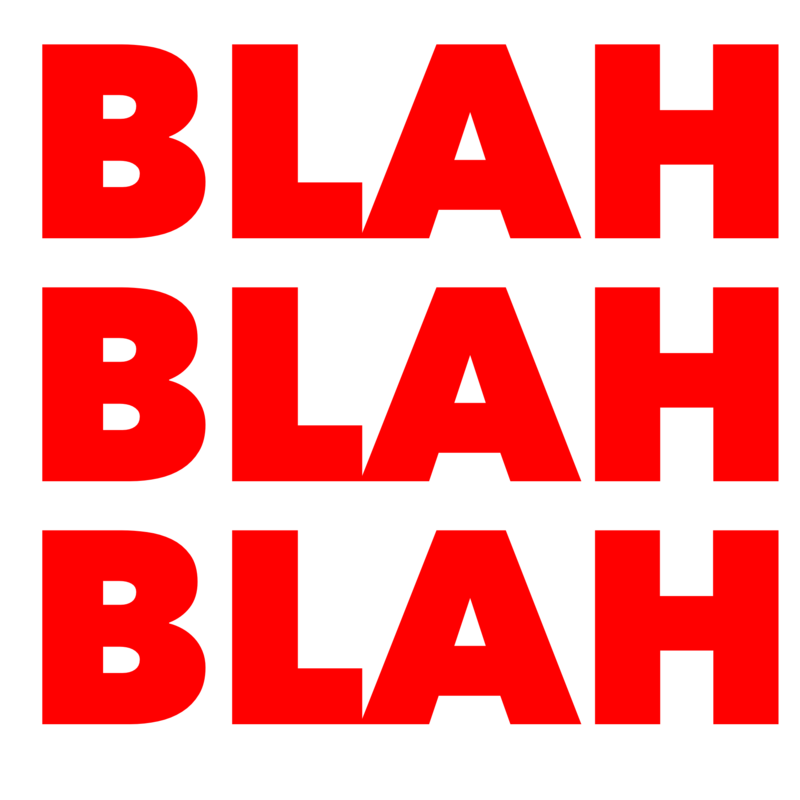 We communicators love to talk about content and the multitudes of channels for sharing it. Too often we forget to include the old standby. It depends on each project, of course. But print remains a strategic piece of many multi-channel plans, leading or just augmenting digital, face-to-face and other tactics. An effective postcard to homes or poster in the break room can remind employees of your campaign’s messages and why they should care. 3. Print is not necessarily as expensive or ecologically damaging as you might think. Many mills and printers have evolved with the times and offer recycled stock, soy inks and other ways to minimize carbon costs. Then remember to point out that you’re using green processes as a way to illustrate your commitment to the environment. It’s not cynical; it’s savvy. Consider going to lightweight paper, too, to save on postage. 4. Print products can be held, passed around, shared in a way that enforces some themes — say, of community, tradition and strength. A magazine on a coffee table is inviting to a visitor in a way that a website can’t be. It makes a statement about value and commitment to many readers, particularly employees who will appreciate the gesture. 5. Irony lives. Digital came along and freed us from the tyranny of print, right? Maybe. But I’d rather think that our liberation didn’t suggest a reflex TO digital and AWAY from print; instead, it just increased our options to communicate better — even when it means including print in the mix. This entry was posted in Atlanta, Business Comms and tagged business communications, digital, print on June 12, 2014 by Jay Croft.